Integration | FusionWare Integration Corp. Integration involves combining data and information residing in different sources and in different formats and providing a unified view of them. Integration of multiple disparate systems is never a simple thing. FusionWare over the years has become expert in combining information from different systems, data sources and applications to create seamless unified applications and websites. Our experience ranges from creating complex enterprise applications and integrating partners and different data sources and structures (relational and non-relation) into a single cohesive experience to bringing new functionality to existing enterprises using integration techniques that are minimally disruptive allowing business to function while enhancing their application or website experience. At FusionWare, our years of deep experience working with different systems, structures and platforms has well prepared us to have a "make it work" attitude. We have integrated security systems, e-commerce applications, billing systems, purchasing systems and many other applications. 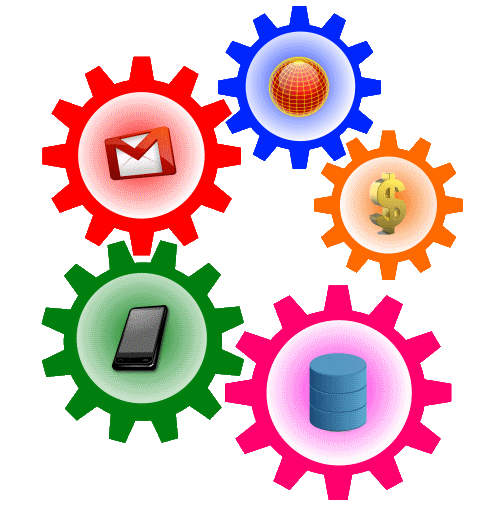 We specialize in making your applications do more than you ever expected!